On 28 July 2017 around 14:45 UT, North Korea tested another ICBM. Early reports from US Military sources indicate a night-time launch from a new location (Mupyong-ni), an approximately 45 minute flight time, and launch into a highly lofted trajectory with an apogee as high as 3700 km and a range of about 1000 km, with the launch direction towards Hokaido. 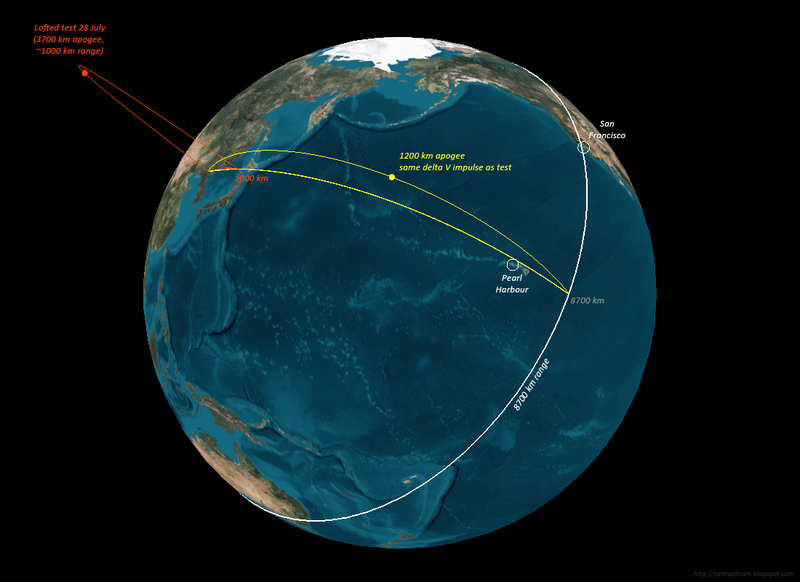 These ballpark figures allow us to estimate a ballpark maximum range for this ICBM. Because this was (again) a lofted test with an almost vertical launch, the true range of the missile is much more than the ~1000 km of the test when it would have been launched on a more normal trajectory. The results I get are shown in the figure above: using the same delta V impulse as the lofted test but putting the apogee at 1200 km (a typical ICBM apogee) and roughly same launch direction, I get a range of ~8700 km. That is probably a conservative figure. The true range depends on various factors (including the weight of the warhead, but also whether this test was at maximum missile performance. Reasons why it was perhaps not, is that North Korea might have shown some restraint and taken precautions in order not to land their missile in or too much near Japan. This is also why they launch in a lofted trajectory). In the figure above, I have drawn what this cautious reconstruction of the real range entails. It surpasses the distance to Hawaii. It brings San Francisco on the US West Coast in range. Today's test therefore implies that North Korea can strike the US mainland. Towards the other direction, it brings Moscow in range, and if the true maximum performance of the missile is slightly larger, also Western Europe (*). By the way, just as with the previous July 4th test, the Russians have come with maverick data for this test again, quoting a much smaller range and lower apogee (732 km and 681 km) based on their own Early Warning Radar observations. There are suspicions that their data only pertain to observations of the ICBM's first stage, explaining the discrepancy. The analysis in this post is based on the first released ballpark figures for this test. If better data are released, the outcome might slightly change. 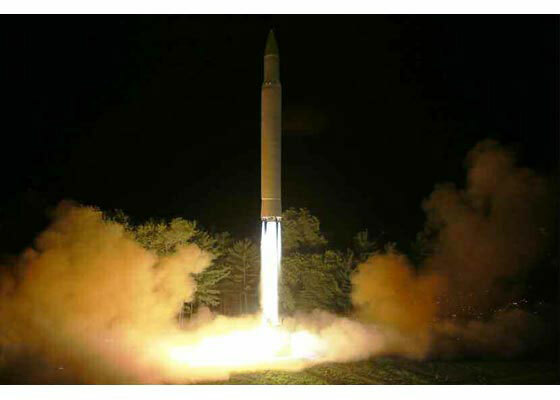 UPDATE: North Korea has now published the following figures for their test: apogee 3724.9 km, range 998 km, flight time 47m12s. They say it was a Hwasong-14 tested to simulate maximum range. 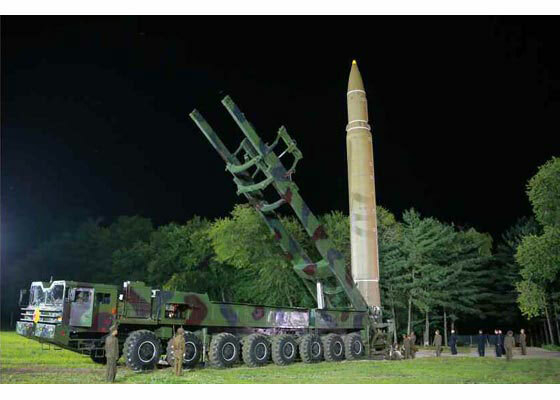 Photographs published indeed show a missile similar to the one launched on July 4. * the maximum range is (unlike depicted above) not a neat 8700 km circle. The maximum range depends on which direction is launched into, due to Earth rotation effects. Due to this, when launched towards the east the missile will have a somewhat larger range than when launched towards the west. Launched towards the east it gets an extra "push" from the rotating Earth. The Space Review has just published my paper on the close ISS flyby of US spy satelllite USA 279. Last Monday was a special and extremely busy day. 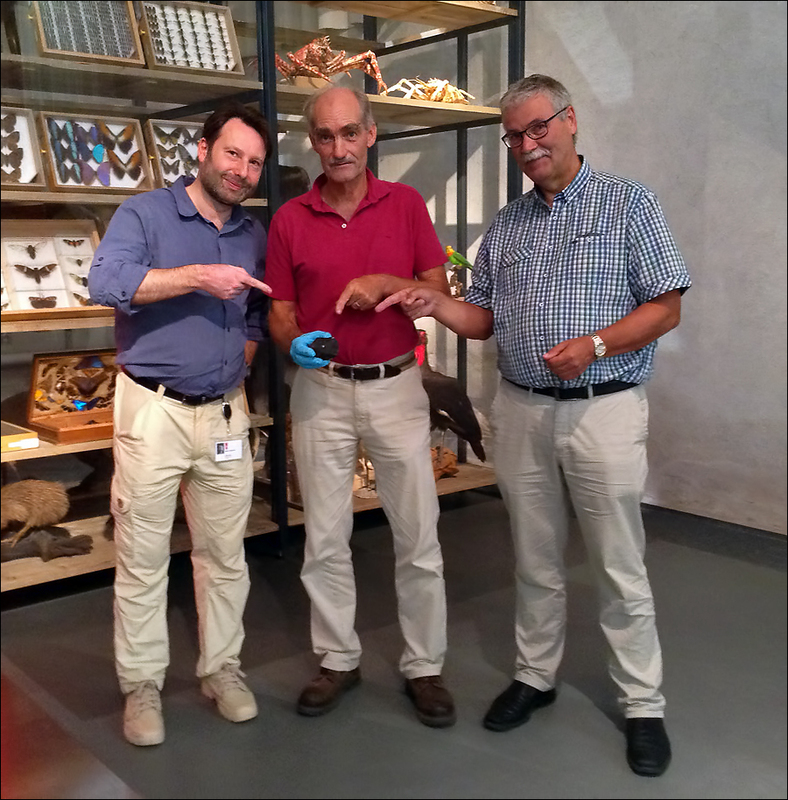 At Naturalis, the Dutch National Museum of Natural History, we presented a new meteorite: Broek in Waterland (provisional name). It is an L6 chondrite and only the 6th authenticated meteorite of the Netherlands in 177 years time, after Uden (LL7, fall, 1840), Utrecht (L6, fall, 1843), Diepenveen (CM-an, fall, 1873), Ellemeet (DIO, fall, 1925) and Glanerbrug (L-LL4-5, fall, 1990). On 11 January 2017 at 16:08:40 UT (17:08:40 local time), just after sunset, a bright fireball appeared over the Netherlands. The sun was only 3 degrees below the horizon and the sky still bright blue and star-less at that moment, so unfortunately the Dutch-Belgian photographic all-sky network and the CAMS BeNeLux videonetwork where not yet operational. Dozens of people from the Netherlands and Belgium however visually spotted the fireball and reported it. A driver on a highway near Weerde in Belgium, 165 km from the fall locality, captured the fireball with a dashcam and uploaded the video to a Belgian UFO investigation website. No other video records besides this one have surfaced, unfortunately. From a comparison of the road marking patterns on the video with Google Earth imagery, I determined that the fireball (going almost straight down in the video) appeared near geodetic azimuth 11-15 degrees. Broek in Waterland, where the meteorite was subsequently found, is in azimuth 11.5 degrees as seen from this locality, i.e. a very good match. The next day, the owners of a garden shed near Broek in Waterland, a rural village just a few km north of Amsterdam, noted roofing tile shards on the ground next to the shed. Upon investigation, they discovered something had smashed through the roof and lodged on the supporting latticework. It was a 530 grams black stone, about 9 cm in diameter, the size of a small fist. Puzzled by the curious incident, one of the finders started to search the internet for explanations. Two and a half weeks after the fall, she phoned Niek de Kort, who runs the Meteorite Documentation Center of the Royal Dutch Association for Astronomy and Meteorology. Niek was abroad at that moment, but the description and subsequent e-mail with pictures sounded very promising. He allerted Leo Kriegsman and the author (Naturalis Biodiversity Center, the Dutch National Museum of Natural History). We made an appointment with the finders and visited them at the fall locality on February 3, where we formally established that the stone was indeed a meteorite. From the look of it, I provisionally determined it as likely an L6 Ordinary Chondrite (a common type of stony meteorite). Subsequent laboratory testing has confirmed that initial assessment. We arranged a temporary loan of the stone with the owners and got permission to cut off 20 grams for research. Subsequent laboratory research at Naturalis and Utrecht University with thin sections, XRF and microprobe confirmed that the petrology, mineralogy and chemistry was consistent with an L6 Ordinary Chondrite. Measurement of shortlived isotopes at the VU University Amsterdam found isotopes that confirm this is a recent fall. 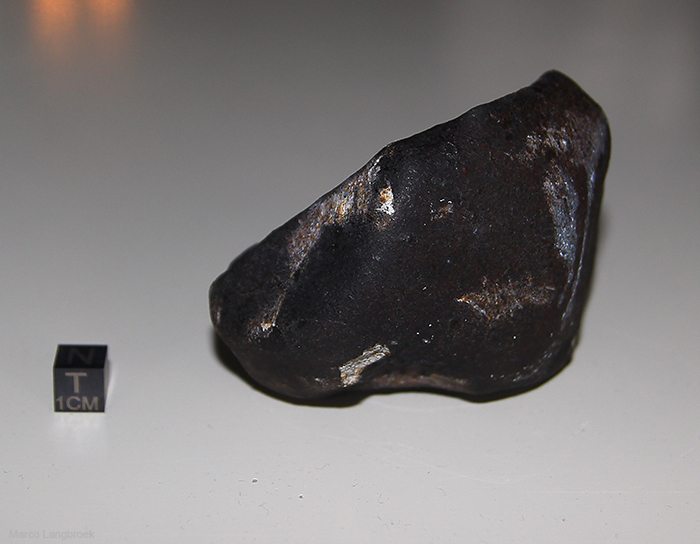 The meteorite's pre-sampling weigth was 530 grams. It is fist size, and almost completely fusion crust covered, bar a few chips and scratches from the impact on the roof. One side of the stone is rounded, the other side shows flat facets, the larger ones of which are covered in "thumb prints" (regmaglypths). This evidences breakup of the stone during the ablative phase of entry into the atmosphere. 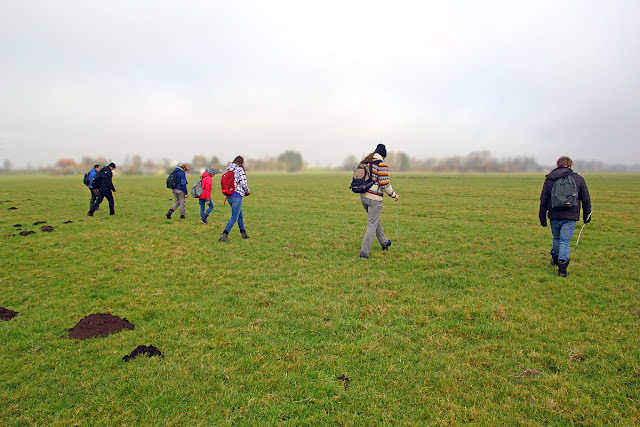 In the weeks after the stone came to light, I teamed up with Felix Bettonvil of Leiden Observatory to organise a search for more fragments in the surrounding area. 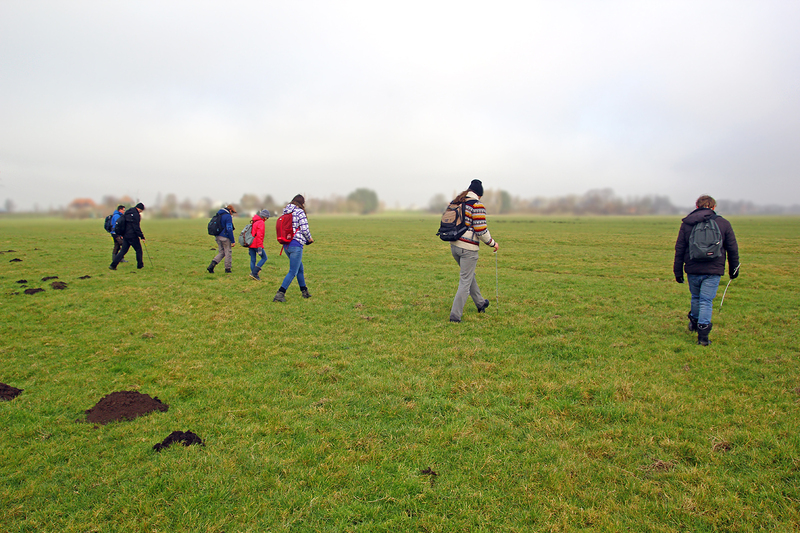 Some fifteen volunteers, many of them veterans from earlier meteorite search attempts, from the Dutch Meteor Society, the KNVWS meteor section, Naturalis and Leiden Observatory, spend several weekends meticulously searching a large area around the fall site, but no other fragments were found. The area in question has a lot of open water and is very swampy: part of the area is a nature reserve and a peat bog where, if you jump up and down, the ground surface starts to form waves, and it makes squishy sounds when you walk there. We used long metal rods to probe suspicious holes in the ground. Searches were halted when late March the bird breeding season started, and the area became temporarily prohibited for that reason. Broek in Waterland is only the 6th authenticated meteorite of the Netherlands. 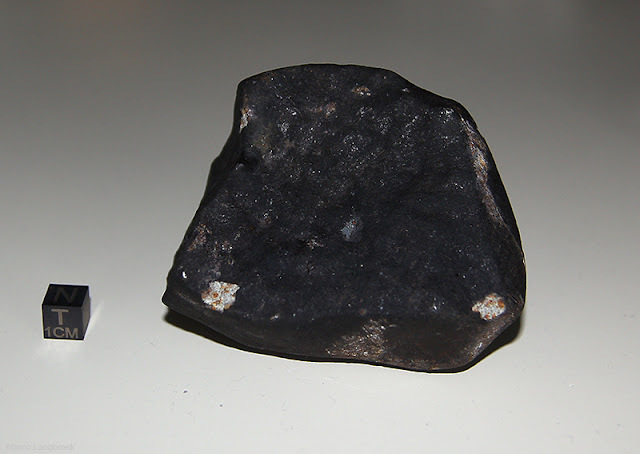 The previous meteorite fall, Glanerbrug on 7 April 1990, was 27 years ago. It impacted on the roof of a house. We suspect, based on the total land surface of our small country, that on average about each three years a 0.5 kg meteorite lands somewhere in the country. Yet, we have on average recovered one only each 30 years. Evidently, a lot of them, 9 out of 10, fall straight into oblivion. The large amount of open water and generally swampy nature of much of the Netherlands, with very soft peaty and clayey substrates, might play a role here. All six Dutch meteorites are witnessed falls. 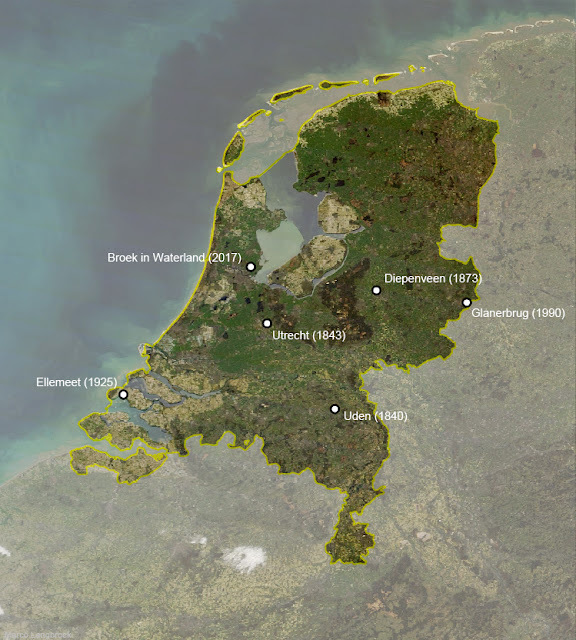 The pre WW-II falls (Uden, Utrecht, Diepenveen and Ellemeet) all were recovered because the meteorite landed close to someone working the fields. With the mechanisation of agriculture post WW-II this no longer happened. 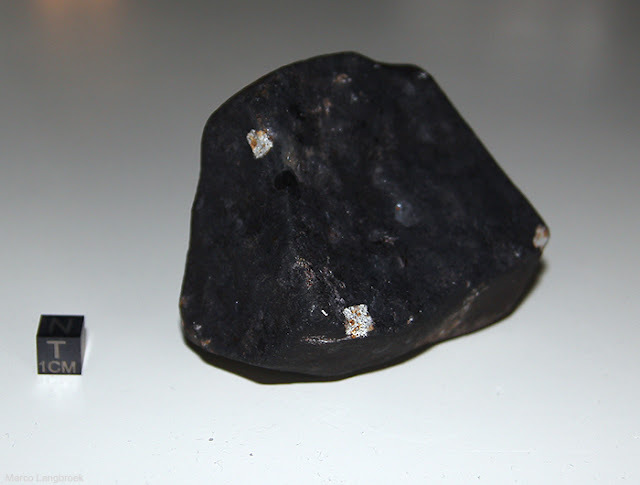 The two post WW-II meteorites, Glanerbrug and the new Broek in Waterland, were recovered because they hit a building and caused damage. We are actively trying to find meteorites and have been organizing dedicated searches a number of times, based on fireballs captured multistation by our photographic all-sky fireball camera network. Examples are a fireball from 2013 near Hoenderloo and another one from 2015 in Gaasterland. None of these searches was succesful. 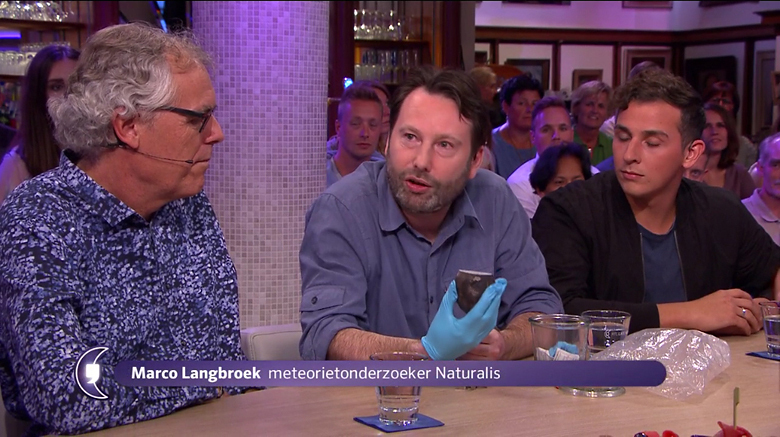 The press attention on June 26, when the existence of the Broek in Waterland meteorite was made public by Naturalis, was enormous. We have been busy from 7 am in the morning to 1:30 am the next night, with Leo, Niek and I giving dozens of newspaper, radio and TV interviews. 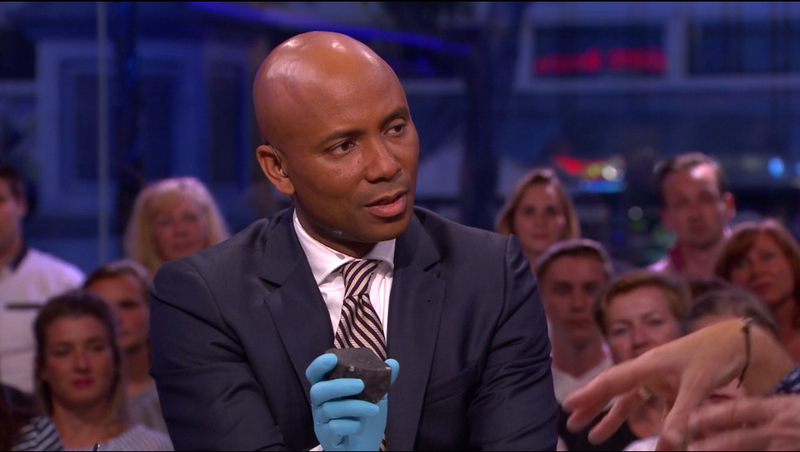 In the late evening of June 26 I was a table guest in a well-watched talkshow on Dutch television, RTL Late Night, live broadcast from Hotel Schiller in Amsterdam, showing the meteorite and talking about it with host Humberto Tan, with science journalist Govert Schilling as my side kick (or me as his, depending on your point of view).